From this month onward I’ll be collaborating with a group of fabulous free from bloggers to bring you themed recipes – this month’s theme is #FreeFromEaster – treats to bake with the children. 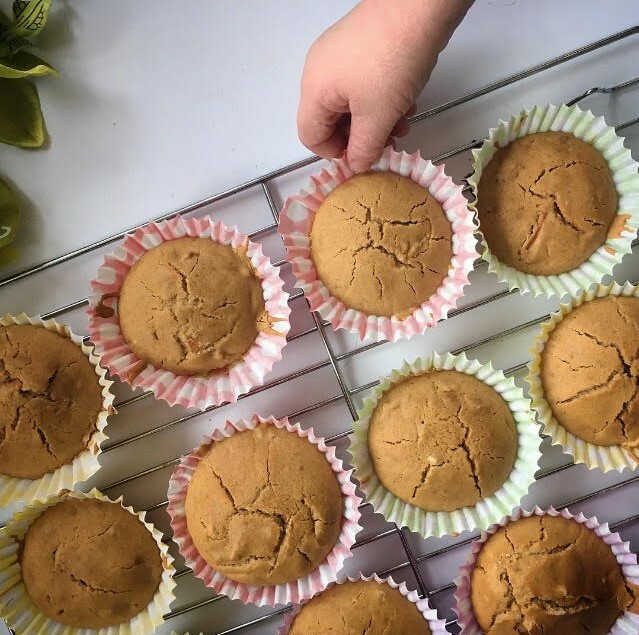 I’ve created some delicious spiced carrot muffins which I loved making with my two little people – they enjoyed taste testing them too! You can find my recipe below, be sure to check out Mel’s (Le Coin De Mel) yummy recipe from yesterday, as well as Nathalie’s chocolate marshmallow crispie squares, Emma’s berry breakfast Easter nests and Midge’s apple, date and walnut hot cross buns and Rebecca’s quick chocolate cream nests. Keep your eyes peeled for recipes from Vicki, Laura, Kirsty, Kate, Eb, Grace, Mandy, and Nova. Dairy, soya, gluten, wheat & refined sugar-free spiced carrot muffins. In a bowl, combine the flour, coconut sugar, salt, cinnamon and nutmeg before adding the melted dairy free butter, orange juice and egg. Fold until you have achieved a paste like consistency. Stir in the shredded carrot and fold again until all the carrot is coated in the mixture. Divide equally into muffin cases and bake for 15-20 minutes at 200 degrees. Keep your eyes peeled for a round-up of my favourite #FreeFromEaster posts and be sure to check out the recipes from all the other fabulous free from bloggers!